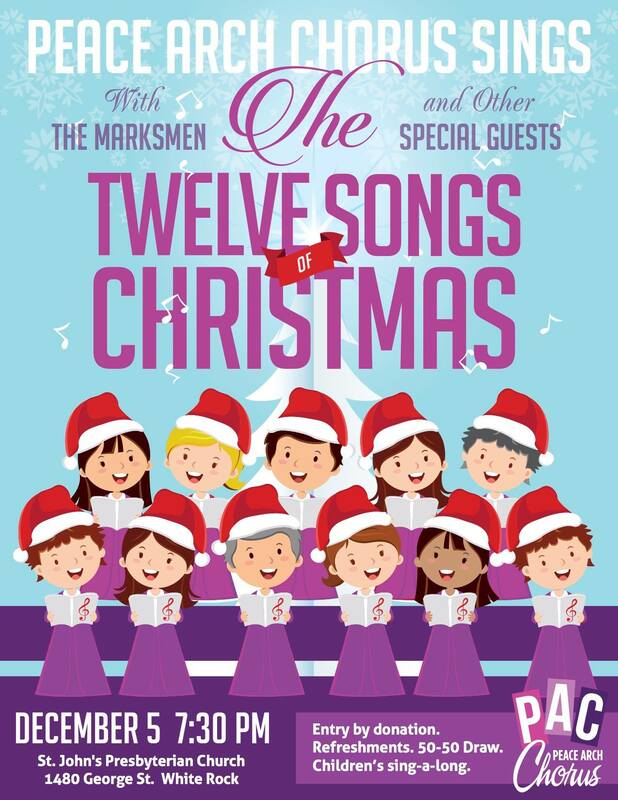 Join us for an evening of song as Peace Arch sings 12 songs of Christmas! With special guests Marksmen, and others! There will be a 50/50 draw, raffle baskets, and a children's sing-a-long during the performance.